The IoT (Internet of Things) is expanding rapidly with numerous potential opportunities for businesses and government sector. With so many smart innovations, people have started realizing the importance of connecting inert devices to the internet and is expected to revolutionize modern life and future on a positive graph. Well, internet of thing is a complex technology, and aspiring developers find it interesting to explore innovative prospects from this growing phenomenon. The tech-savvy experts are constantly looking for the right tools to build the next aspiring internet of things, to benefit different industry vertical. Today there are a plethora of open source tools that can be efficiently used to overcome challenges and developing successful applications. Easy-to-use hardware and software, distinguish Arduino development kit from rest of the tools. This is an open-source prototyping platform. For interactive electronics, it offers hardware specification, along with a set of software that includes an IDE and the Arduino programming language. In easy terms, we can define Arduino as a tool for making computers having the ability to sense and control more of the physical world. It comes as a complete package to make an interactive application well-suited to the IoT economy. The software and hardware are designed for beginners who want to explore unique IoT application into the marketplace. Home Assistant is an ideal option for developers keen to establish connectivity between people’s living spaces and the internet. In order to exploit the rising smart home market, this platform is tailor-made for the internet of things. It runs on Python, which is excellent for tracking and interacting with sensors and smart devices in office and home. However, Home Assistant can be easily used on a laptop or desktop but lacks a cloud component which does not allow to have the constant internet connection. This tool stands out during internet outages and can be used to keep data secure at all times. In order to connect the Internet of Things together Node-RED is applied. It is a visual tool built on NodeJs. It enables developers to connect devices, services, and APIs together via an integrated browser-based flow editor. Moreover, it can run on Raspberry Pi, and interestingly more than 60,000 modules are available to extend this tool’s capabilities. In another context, Node-Red is a visual tool for wiring the Internet of Things, which means connecting together hardware devices, APIs, and online services with a wholly unique and innovative approach. Zetta is a server-based platform, perfect for taking devices from various brands and converting them into API. This tool is built on Node.js and exclusively marketed for the internet of things. Having a heavy dependency on the cloud, it can run virtually from anywhere. Flutter is the best option for tech-savvy and students, designed to reduce the complexity of electronic projects. It refers to a programmable processor core based on Arduino. Also, popular as a wireless transmitter with the tendency to reach more than a half mile. Flutter boards allow directs communication with each other, this means no router is required. 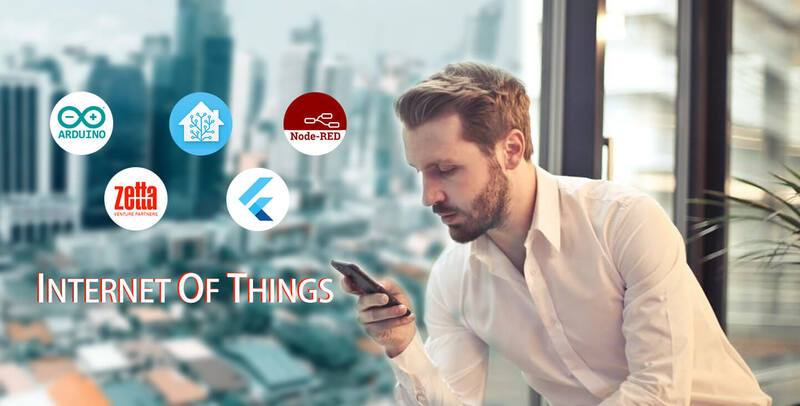 Using the above-mentioned tools developers can build next Internet of Things Application that can benefit business and individual to explore potential opportunities and establish a connected smart infrastructure, reducing effort and hefty amount. October 26 2018Will The Code-Less Development Offers Relevancy To Mobile Application? Why Drupal Commerce for your online store?